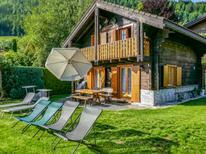 A holiday house in Switzerland costs on average GBP 1,065 in the cheap travel period and GBP 1,553 in the peak season per week. These details are of course in relation to the house and not per person as well as includes the obligatory additional charges. Many associate the famous Matterhorn with the travel destination Switzerland or just a vacation in the mountains. Be it in the summer hiking up the mountain pastures lined with gentian or skiing down the snow covered pistes in the winter. In the Alpine region late summer is traditionally the time where the dairy cattle are brought down from the Alpine pastures, which are in the higher mountain regions, back to the valley. Why don’t you be there live at the next ‘Almabtrieb’ with a holiday home in Germany, Austria and Switzerland! 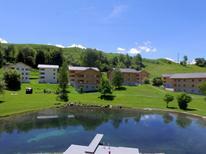 In Switzerland atraveo offers you a selection of more than 5,000 holiday apartments and houses. Switzerland consists of three different linguistic – and more or less cultural – parts. Whilst the north and east is German-speaking, the south and especially the beautiful Ticino is Italian-speaking and Romandy is French-speaking. In some Alpine valleys in Grisons Rhaeto-Romanic is spoken, an old language which derives from Latin and has survived in the secluded mountainous regions up to today. This makes Swiss culture an interesting mixture of different cultural influences as well as of ancient customs and traditions of the particular cantons. The main reason for a holiday in Switzerland is of course experiencing the stunning backdrop of the Alps around the Matterhorn, Dufourspitze, Weisshorn and Piz Bernina. 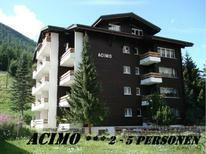 The alpine world offers not only scenic beauty but also many options for arranging a great active holiday. Hiking, cycling and climbing are part of the most common activities in these areas. 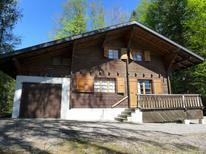 Especially impressive are the Alps in the cantons Grisons, Bern, Ticino and Valais where atraveo offers a large selection of holiday houses and apartments. The winter season is the time for skiing and snowboarding. Many perfect skiing regions such as the Matterhorn ski paradise, Davos-Klosters-Mountains or Saas Fee promise great diverse skiing holidays. 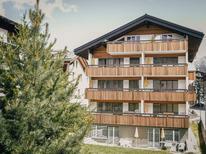 Here fully furnished ski huts are ideal as accommodation as they often offer enough space for several people. What could be better after an exciting day on the slopes than sitting in the evening in front of a crackling fire, enjoying an original Swiss cheese fondue or a rösti, whilst outside the alpine wind provides for fresh snow. Always worth a visit are Switzerland’s cities. The larger cities such as Zurich, Geneva, Bern and Basel are located in the Swiss Plateau which is not part of the High Alps. Zurich and Geneva are two of the most expensive and richest cities in the world – this not merely just in relation to living costs but also sights and attractions. Also worthwhile visiting is the “Capitale Olymique” Lausanne, the base of the International Olympic Committee (IOC). Further places worth visiting are the mountainous cities Lucerne, Interlaken, Chur and Davos. 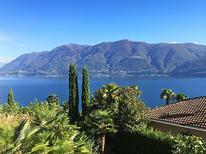 At the border to Italy worth mentioning are Lugano, Locarno und Ascona which impress with their idyllic lake setting. Near the German boarder above all the historic St. Gall and Schaffhausen with the renowned Rhine Falls are popular destinations. Although Switzerland is a mountain region on the continent with no access to the sea one must not forego the enjoyment of bathing and swimming as the landlocked country offers many lakes. Especially popular are the lakes Lago Maggiore and Lake Lugano in southern Ticino at the boarder to Italy. The Swiss-French boarder offers Lake Geneva with its famous fountain whilst the Swiss-German-Austrian border promises lots of enjoyment with Lake Constance. In the heart of the country there are Lake Zurich, Lake Lucerne as well as Lake Thun and Lake Brienz. 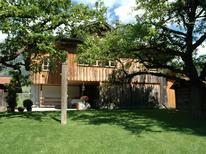 Also very popular is the Swiss Seeland which lies south of the Jura Mountains. Take some time and have a look at the atraveo offers in the areas around the lakes in order to find your holiday home which will offer you great panoramic views on the blue waters of the lakes surrounded by a stunning Alpine backdrop. The reviews of previous holiday makers on houses and apartments can help you choosing the right one for you. 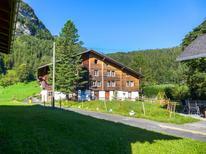 The best travel period for a holiday home vacation in Switzerland is actually throughout the year. Indeed the temperatures are the highest during the summer months so one can bathe in the lakes. But the diversity of the Swiss landscape is also worthwhile seeing during other seasons. Usually the rental price for most holiday houses then is also lower than during peak season. During winter of course skiing and other types of winter sports are the main attraction around the snowy mountain tops and they attract thousands of holiday makers every year in the skiing areas of the Swiss cantons. 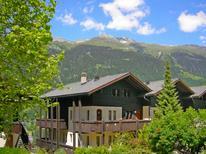 Because of the high demand in the skiing season we recommend booking your dream holiday home well in advance.